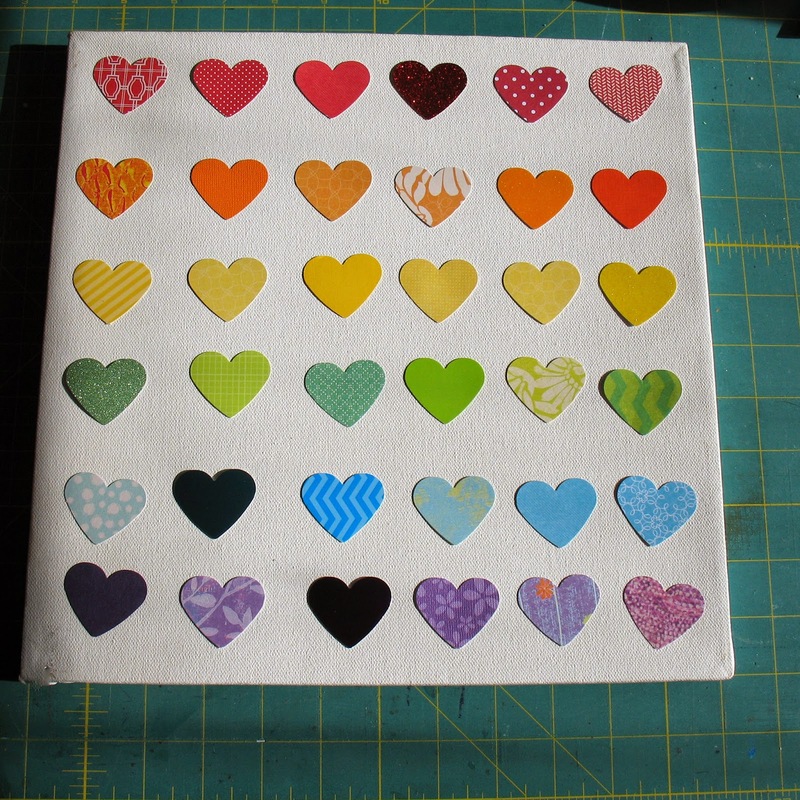 I spent several hours yesterday punching out 400 odd rainbow hearts at my niece's request. She has been enjoying browsing Pinterest for rainbow unicorn birthday ideas. She loves the idea of having a cloud I think like this one with rainbow colored hearts falling from it like rain. As I was taking a picture of some of the hearts to send to her I decided it might be fun to make some art for her bedroom. What do you think of this arrangement? It looks like she may have more hearts than she needs. Do you have any good ideas of other ways to use them? I like the idea of a garland. Thanks! I'm thinking it would be fun to use them to fill in a rainbow as well.